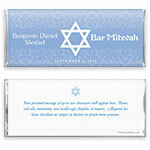 This simple, classic wrapper design is perfect for your special day. 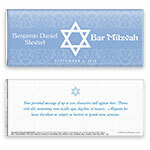 Design: Elaborate background pattern with a Star of David. Personalization: Front name and event, back message.